Japanese records from the early 1900s show Dokdo as part of Korea’s Gangwan Province. 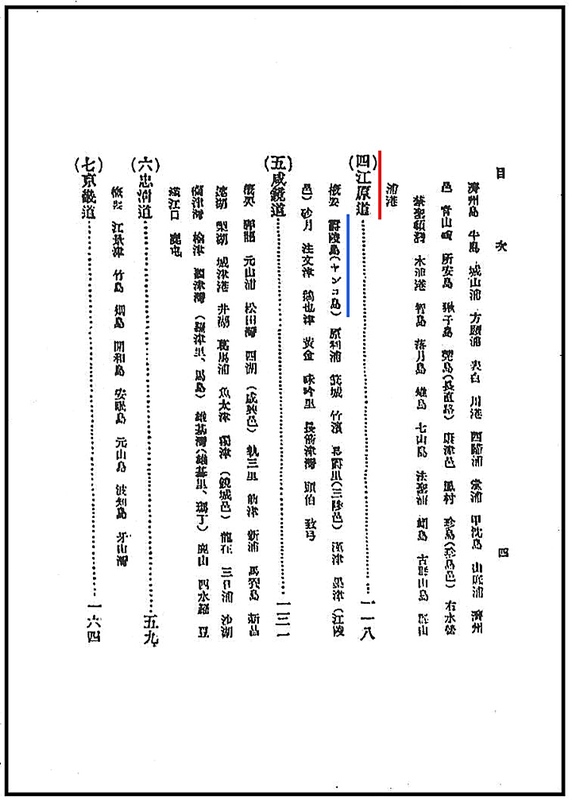 The following images are various Japanese documents related to both Korea’s Ulleungdo Island and her nieghbor island Liancourt Rocks (Dokdo) The purpose is to determine the territorial perceptions of those Japanese who “resided” on Ulleungdo as well as those who fished around Dokdo Island. How did Japanese of the early 1900s percieve these islands? Did they consider Dokdo Japanese land? From a political standpoint, we know Japan as a nation did not consider Dokdo part of Japan this can be seen on numerous historical national maps of Japan found here. map1 map2 map3 map4 . 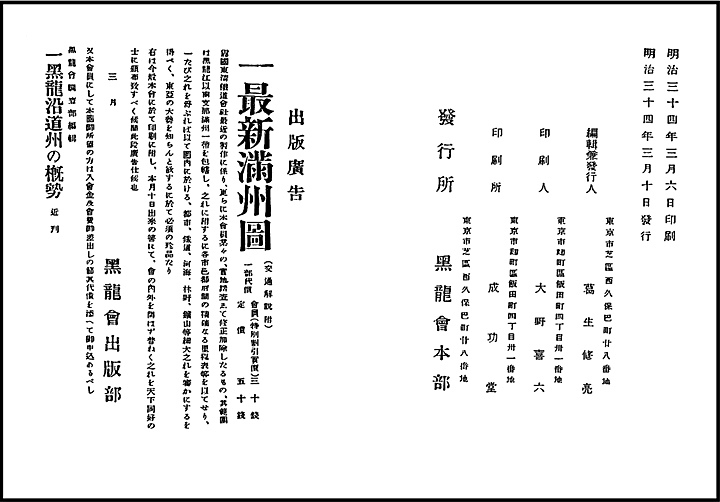 We also know the highest authority in Japan concluded that Ulleungdo and other islands were not part of Shimane in this document (link) This page deals less with the politcal views of Japan but rather those Japanese who had an intimate knowledge of the region. 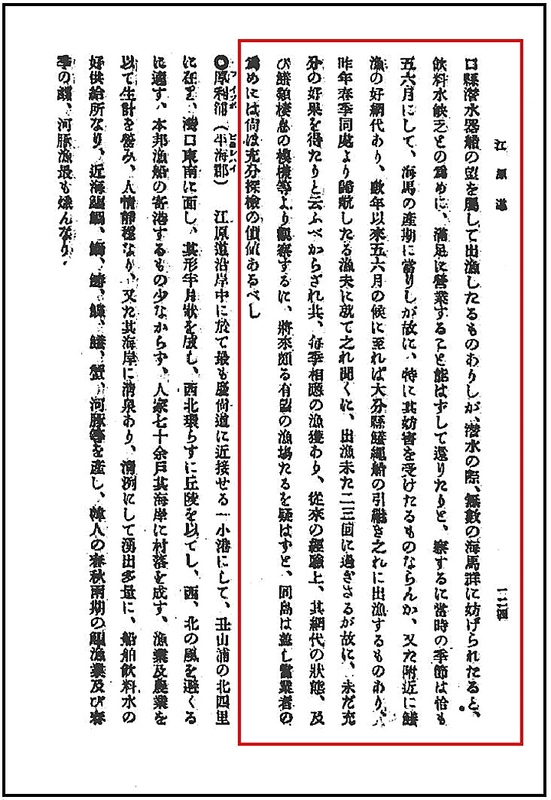 Through the following documents we can ascertain if the activities of these Japanese nationals are a valid basis for Japan’s historical claim to Dokdo. Above left: An overall map of the region showing Korea, the East Sea (Sea of Japa) and Japan’s West Coast with the Oki Islands boxed in black. Above right: A map of Korea’s Ulleungdo that was swarmed by Japanese illegal squatters and fishermen by the turn of the 20th Century. A basic study of the geography of the region shows us what exactly the Japanese fishermen had to contend with in order to harvest the abundant marine resources Korea’s Ulleungdo Island and Dokdo had to offer. First, the distance to Dokdo Island made it impractical, if not impossible to fish directly to and from the Japanese mainland to the islets. Fishing from the nearest Japanese land would mean a journey of over 300kms return. The early 20th Century was still the era of steamships and sailboats and historical records show the fishing vessels of these Japanese were quite modest. 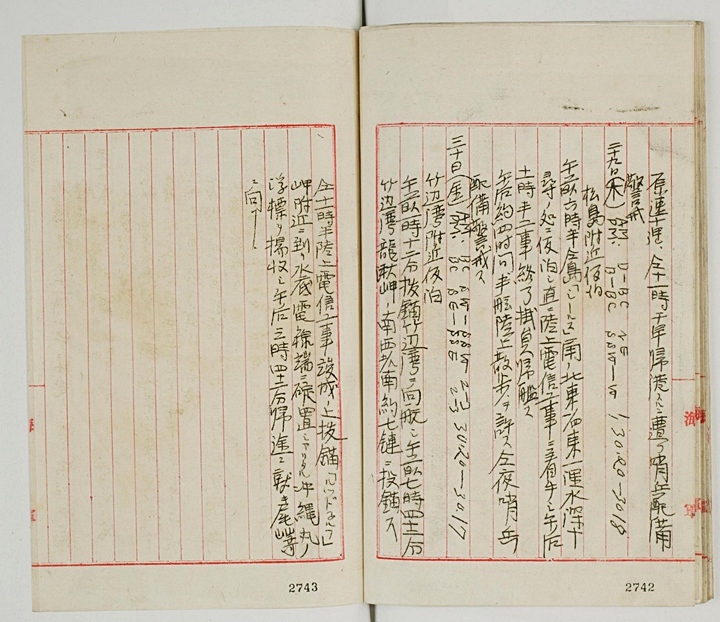 The 20th Century documents that follow, record the problems Japanese fishermen had with fresh water on Dokdo. This hampered Japanese access to the island and limited the duration they could stay. These factors would play a role in determining whether or not Japanese nationals who voyaged to the region considered Dokdo part of Japan or as appended to Ulleungdo Island. 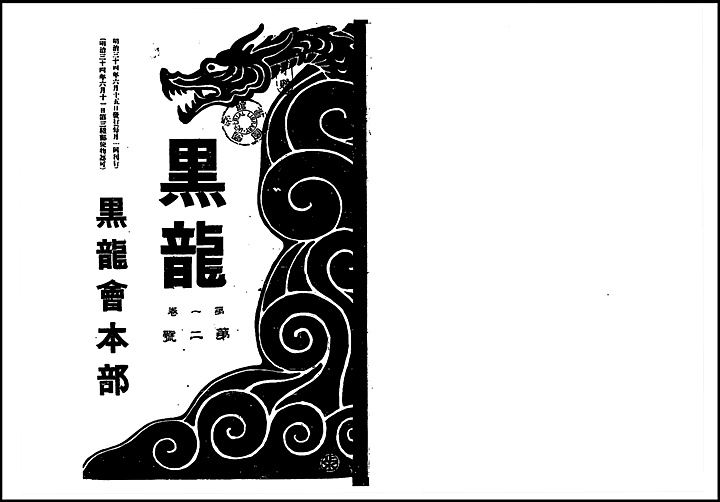 In 1901 the Shimane Prefecture based fishing organization The Black Dragon Society printed the book 韓海通漁指針 or Chosun (Korean) Ocean Fishing Manual. The Black Dragons were an ultranationalist organization whose views were considered extremely right-wing during Japan’s expansionist era. This publication was printed in early March of 1901. The above images are the cover of the Black Dragon Fishing guide. 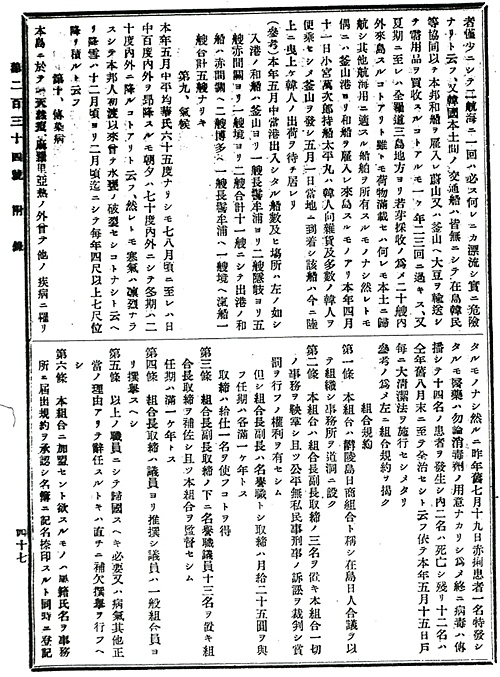 The date written is March 6th 34th year of Meiji (1901) Click pictures for larger image. The 1901 Edition of The Japanese Black Dragon Guide lists Liancourt Rocks (Dokdo) under Korean territory (韓國) and Gangwan Province (江原道) as the regions from the start of the chapter. It also confirms Korean cognizance of Dokdo at least five years before the Japanese annexed the island. 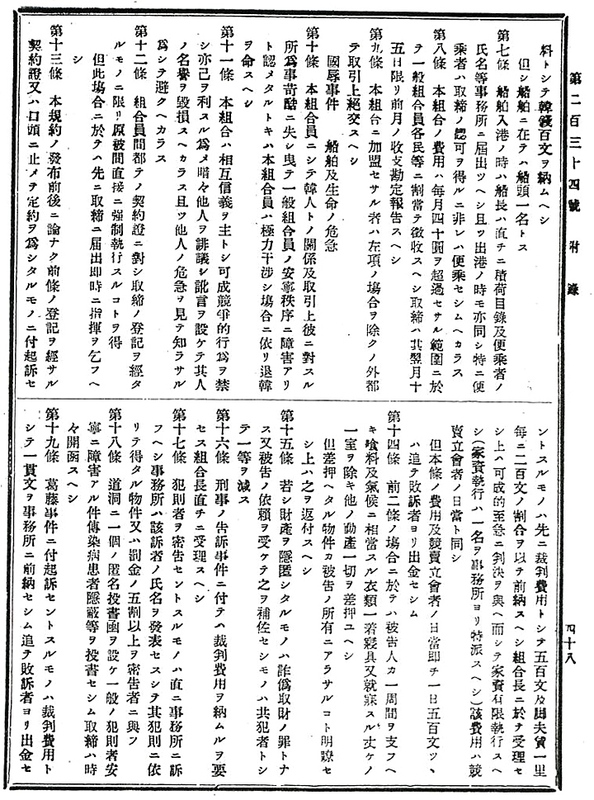 Translation of the 1903 Japanese Black Dragon Fishing Guide. 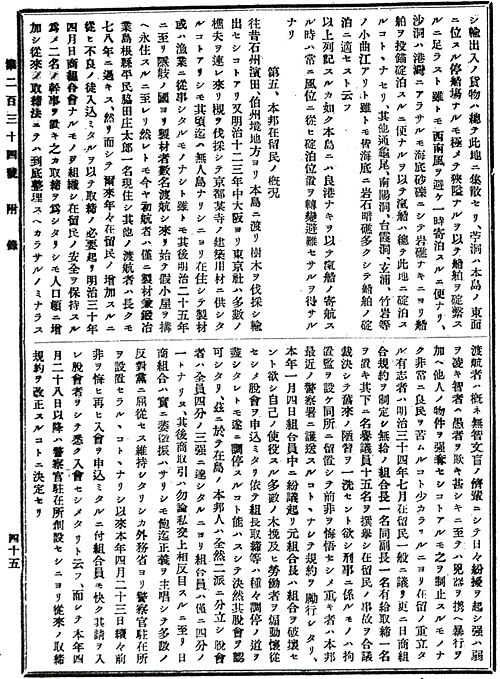 The second page above is the Black Dragon Chosun Fishing Guide’s index (click image). 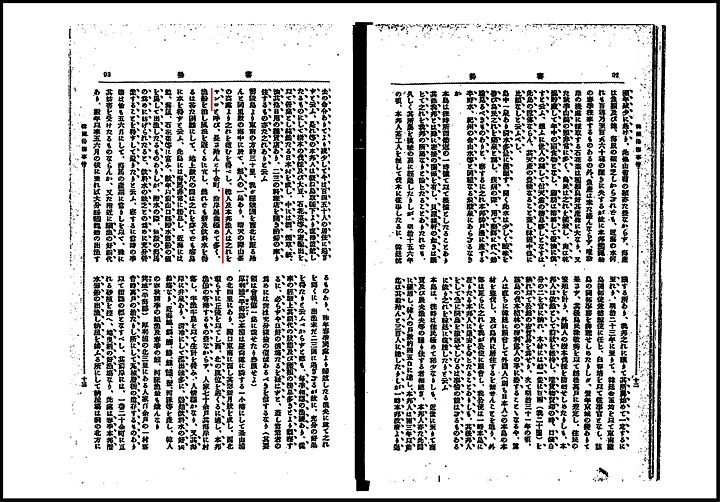 Highlighted in red by the author is the subtitle for Korea’s Gangwan Province and bracketed below is “Yangkodo” or Liancourt Rocks. This shows that those Japanese fishermen who frequented the region regarded Dokdo as both part of Korea (Gangwan Province) and as an appended island of Ulleungdo. Surely, if the Japanese fishermen of the day regarded Liancourt Rocks as part of Japan, the island would not be in a Korean fishing manual listed under the jurisdiction of Gangwan Province and bracketed under Korea’s Ulleungdo Island. 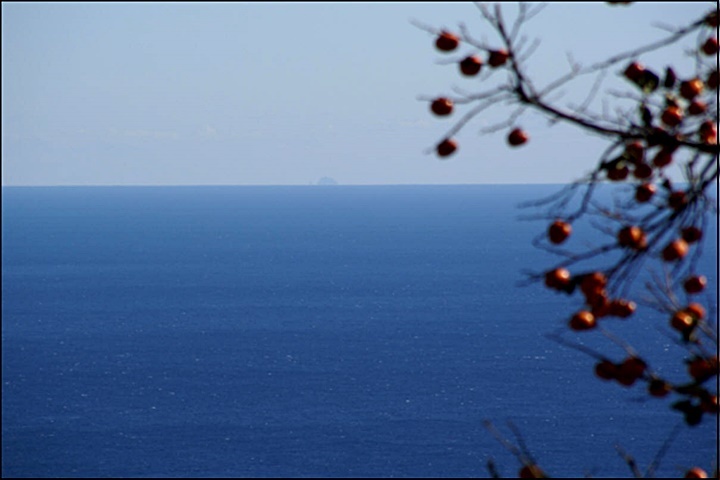 “…About 30-ri south-east of Ulleungdo, and almost the same distance north-west from Japan’s Oki county, there is an uninhabited island. 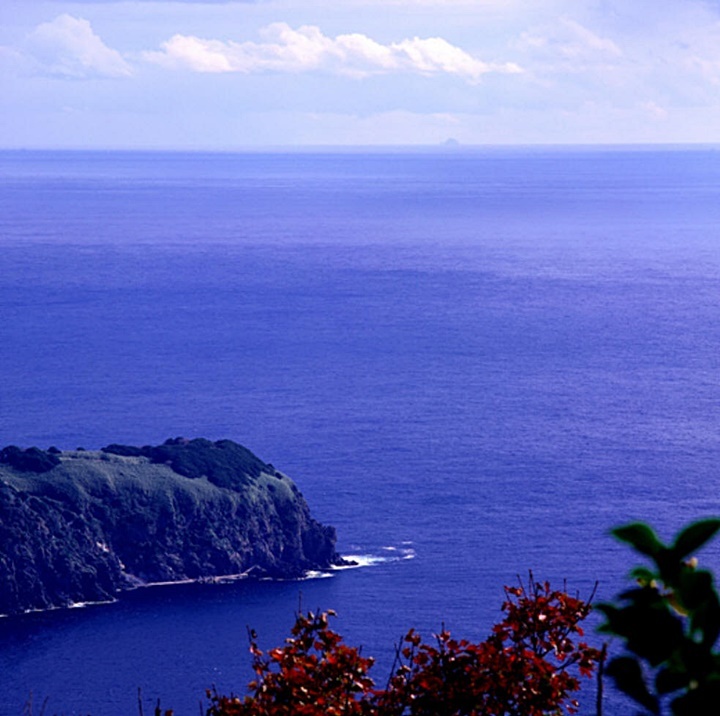 One can see it from the highest point of 山峯 (Seong-In Mountain) on Ulleungdo when the weather is fine. Korean and Japanese fishermen call it “Yanko”, its length is about 10-cho. Its coast is full of bends and twists, thus, it’s easy for fishing boats to be in anchor and to escape winds and waves. However, it is very difficult to get firewood and drinking water, one can dig the ground for several shaku (1.0 – 1.5meters) from the surface but hard to get water. There is an abundance of sea lions that live on the island and the area around the island has many abalone, sea cucumber and agar. A few years ago. a ship with diving equipment from Yamaguchi prefecture went fishing but they couldn’t engage in this business and went home as they were obstructed by many sea lions while they were diving and because due to a shortage of drinking water. It’s concluded that the obstruction may have been because of period of giving birth, since it was just May or June. The above document is confirmation of a few facts. 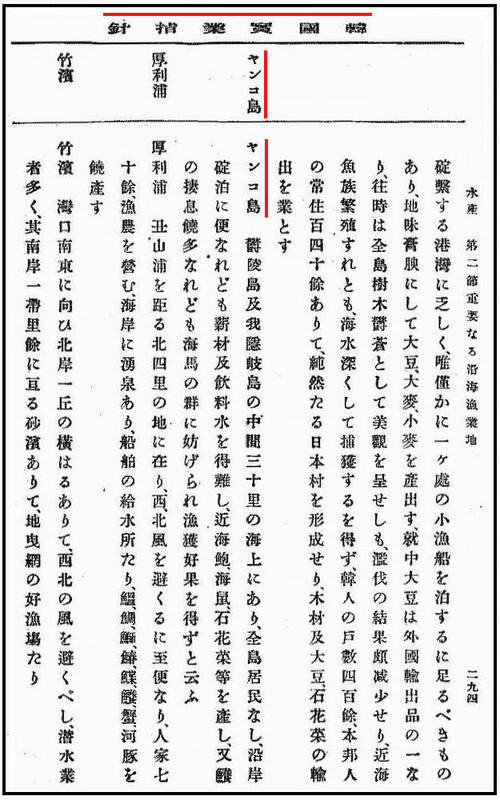 First Japanese Takeshima lobbyists have often doubted Korean assertions that Dokdo was visible from Ulleungdo. However, the 1903 Black Dragon’s Chosun Fishing Manual is documented historical proof that Dokdo is in fact visible from Ulleungdo’s peaks. Korean cognizance of Dokdo is also confirmed by the Black Dragon’s Chosun fishing manual. It is clearly stated Korean and Japanese fishermen call this island Yangko (dialect of Liancourt). 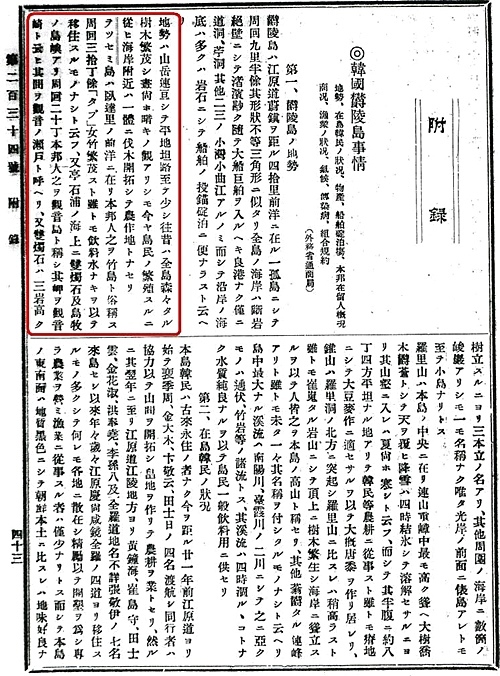 This Japanese document is confirmation of Korea’s awareness of Dokdo about three years before the Japanese military annexed the island in 1905. Dokdo Island’s lack of drinking water is also mentioned here. This would severly hamper the ability of Japanese to stay on Liancourt Rocks for any extended period of time or to venture there from distant territories such as mainland Japan itself. 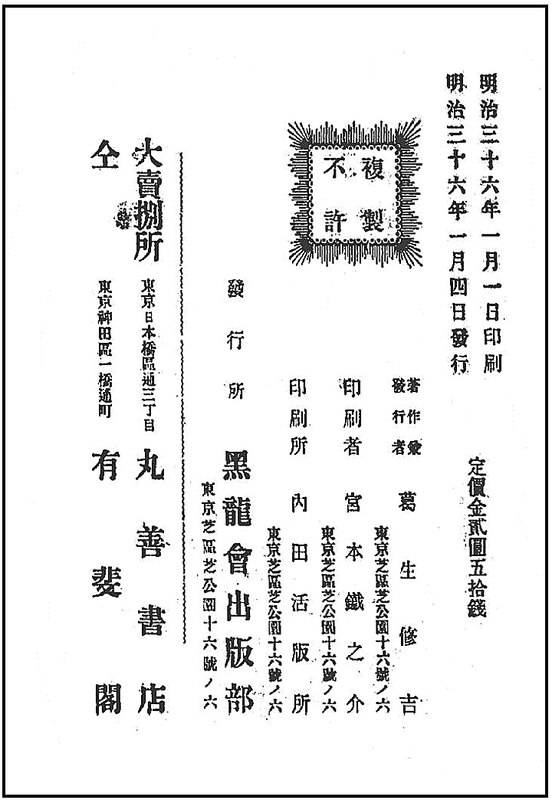 In 1904 this guide was published for the purpose of informing Japanese nationals the nature of doing business in Korea. 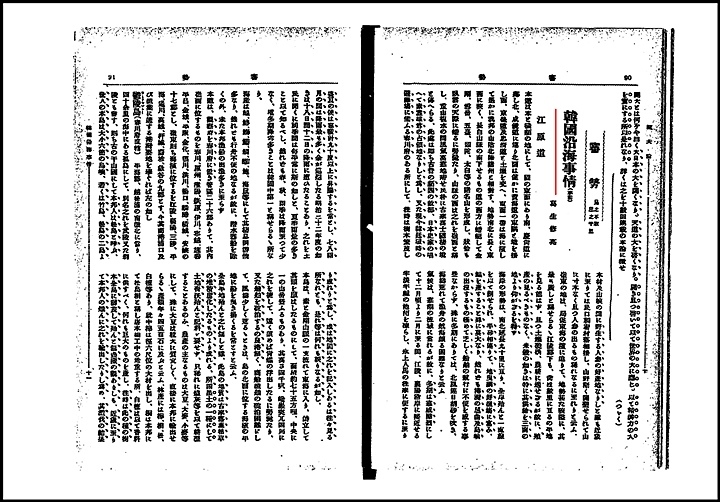 Within this publication was a section about business (fishing etc.) in Kangwan Province. 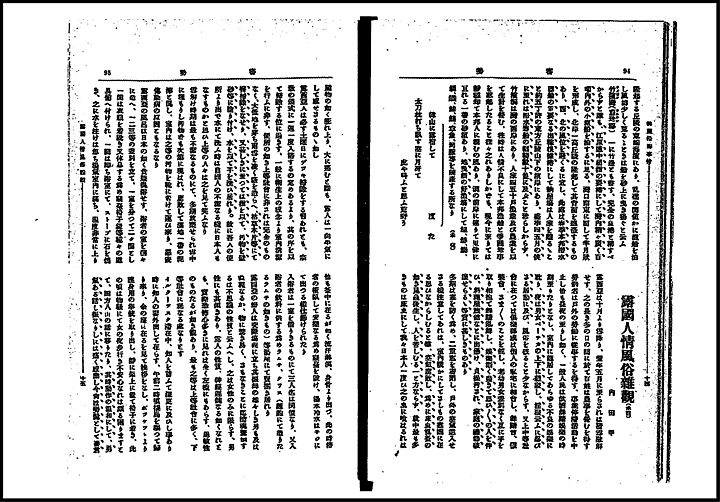 In 1902 Japanese document entitled, “Ministry of Foreign Affairs, Department of Trade, Document Section: Trade Documents” (外務省通商局編纂 通商彙纂) was printed. The appendix is titled, “Situation on Korea’s Ulleungdo,” and it talks in detail about Ulleungdo’s geography, climate, population, products, commerce, fishing, transportion, moorage, and epidemics. 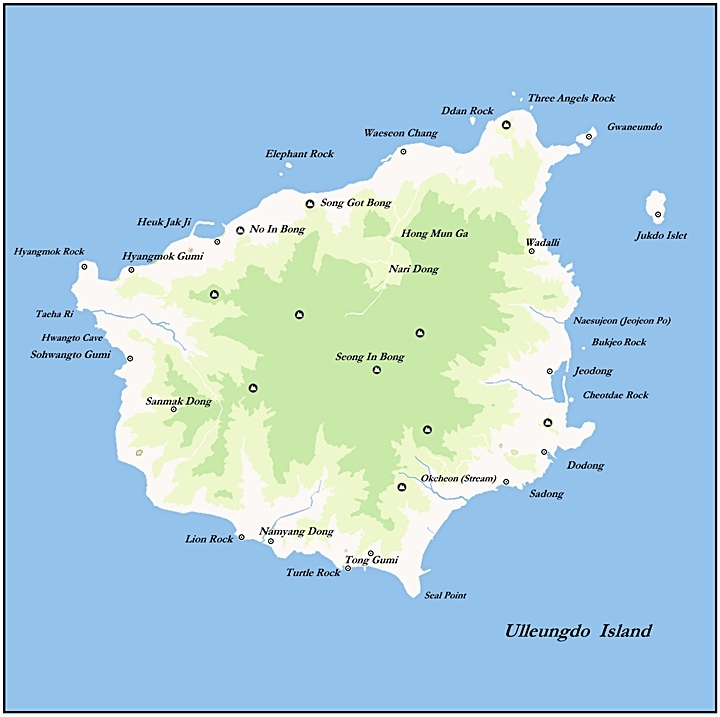 This record provides information on both Ulleungdo Island and Dokdo. It gives us some insight into the true situation on Ulleungdo and even details some of the problems Koreans were having with the Japanese trespassers there. Also, it describes the Koreans who sailed hundreds of kilometers from Cholla Province to visit the Ulleungdo region. There is also a brief passage about Dokdo (Yangkodo) in the fishing section. The publication above is a valuable source of information because it also tells us the locations of Korean residents and those Japanese who visited Ulleungdo Island. 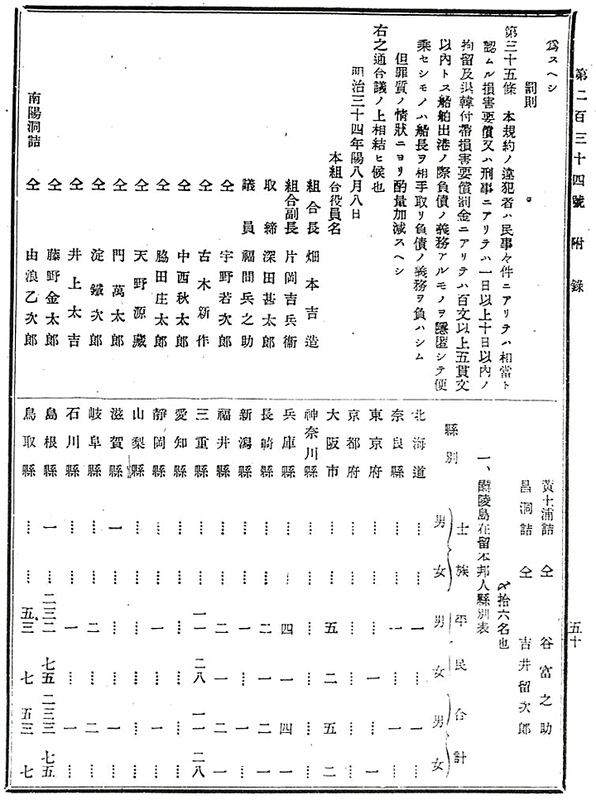 Below are listed the number of Korean and Japanese households in each village as well as a Japanese historical map of Ulleungdo showing the relevant areas. Click all maps for a larger image. 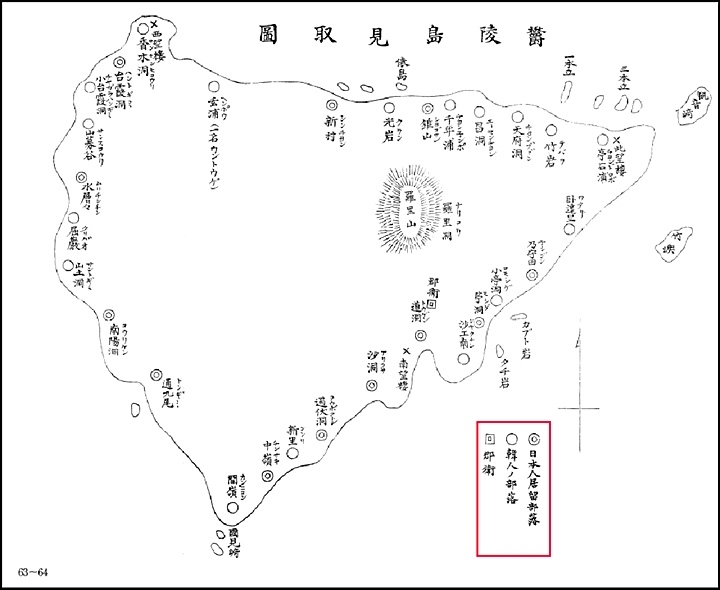 The map to the left illustrates the difference between Korean and Japanese “residents” of Ulleungdo Island at the turn of the 20th Century. 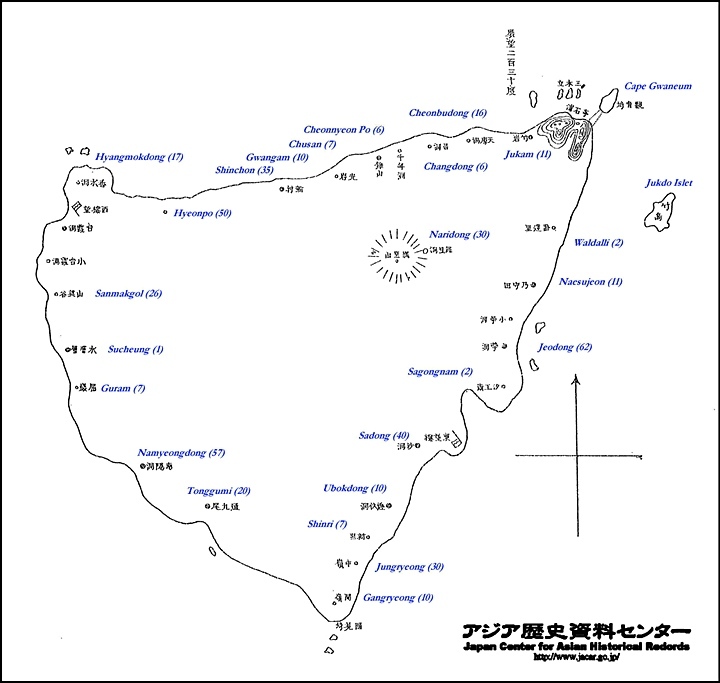 This chart shows the location of the Japanese Naval watchtowers installed on Ulleungdo. 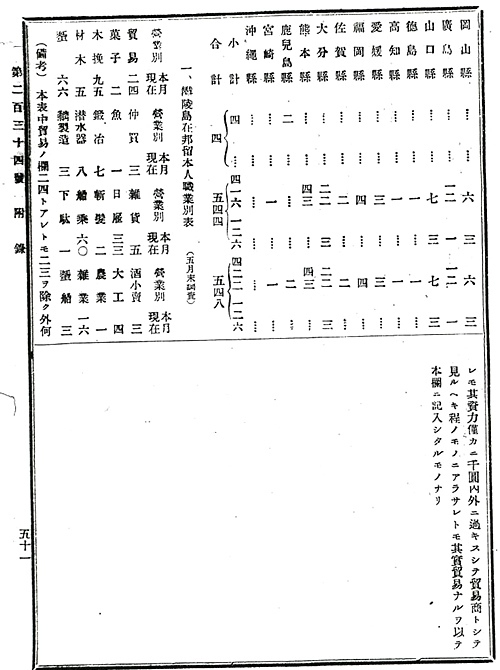 Japanese watchtowers are marked as “望樓” and we it can be observed Japan had installed 3 military watchtowers at the time of this map’s printing in 1905. 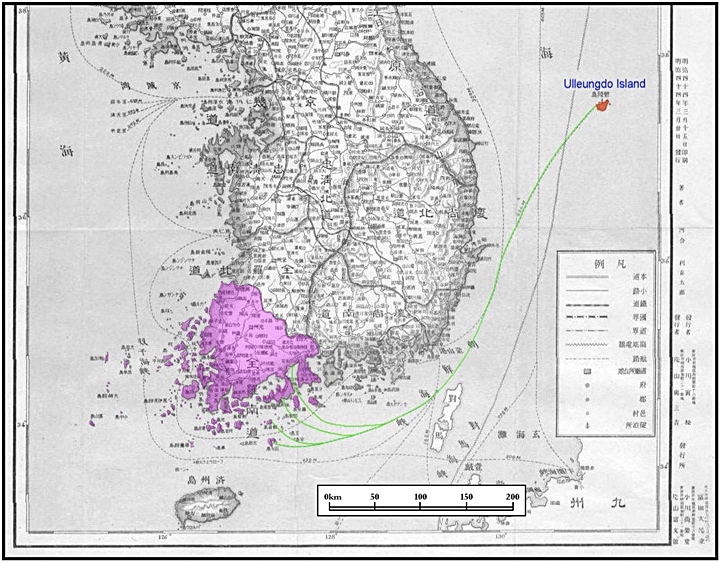 This clearly demonstrates the Japanese presence on Ulleungdo was seen as transient or temporary. With the activities of Japanese on Liancourt conducted almost exclusively through this illegal squatting on Ulleungdo, it’s unlikely they considered Liancourt Rocks as part of Japan. The above section regarding fishing on Ulleungdo confirms some facts. Japanese Takeshima lobbyists have long asserted those Koreans who resided on Ulleungdo were farmers and lacked the nautical skills to have sailed to Dokdo. However, as stated above, many Koreans on Ulleungdo sailed annually to Ulleungdo from as far away as Geomundo in Cholla Province. This is a distance of about 550kms which is quite incredible. As far back as Leegyuwon’s 1882 survey and diary of Ulleungdo it was also recorded Koreans came to Ulleungdo by boat from Geomunddo, Chodo, and Nagan of Jolla Province. Leegyuwon among others recorded these Koreans as carpenters and building boats on Ulleungdo from the abundance of timber. The map to the right is a map showing Korea’s South Cholla Province highlighted in pink. Marked in bright green marks the possible route of how these brave people travelled a remarkable distance every spring to reach Ulleungdo. The other portion of section seven gives us a brief insight of Japanese activities on Yankodo (Liancourt Rocks) Japanese fishing on Liancourt was done from Ulleungdo not due to preference but rather out of necessity. Dokdo’s lack of fresh water limited the duration these fishermen could stay. These fishermen it seems could not have fished on Liancourt directly from Japan. Travelling from Oki Islands would more than doubled their travel time, left them exposed to the elements and expended their fresh water. As mentioned, fishing on Liancourt Rocks (Dokdo) from the Japanese mainland was impractical, if not impossible. 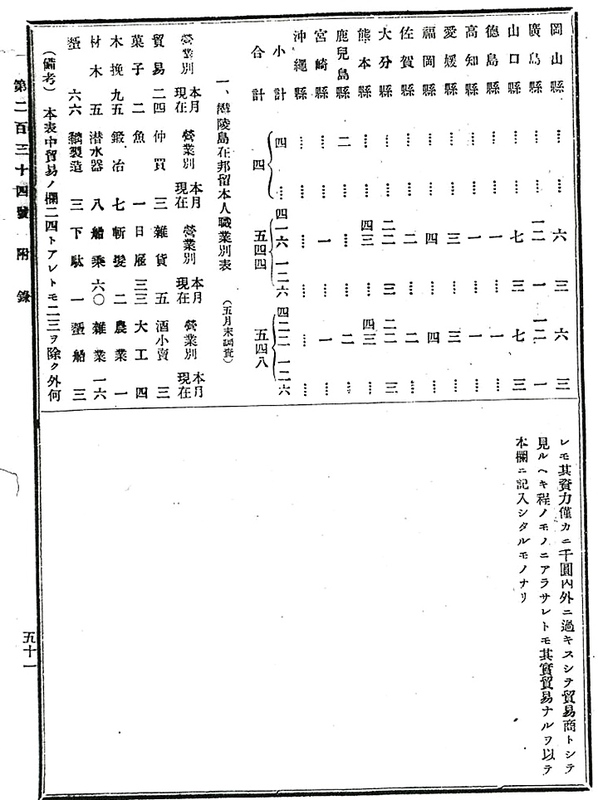 The last two pages of this guide reinforce the data from the map above. 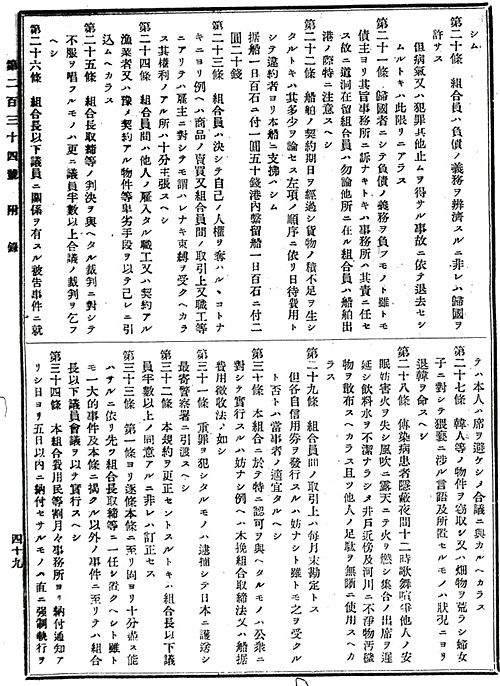 Pages nine and ten record the home prefectures of these Japanese on Ulleungdo. 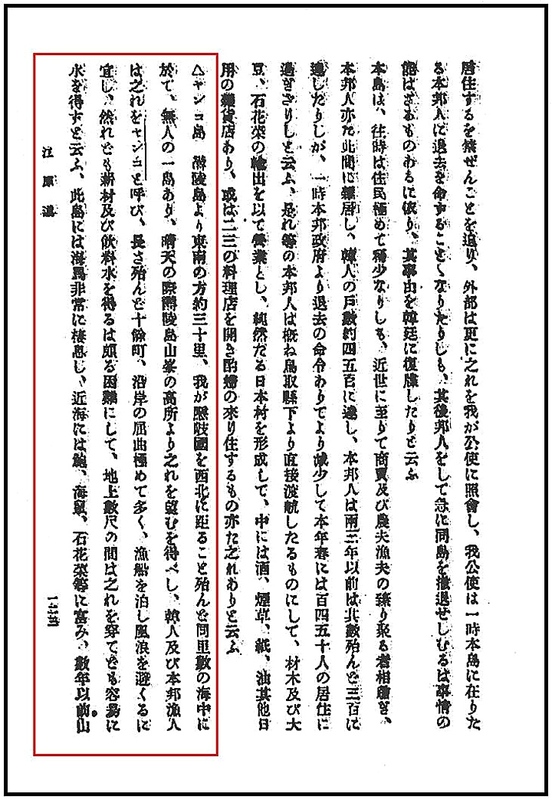 It can be read here, most of these illegal squatters living on Ulleungdo were from Shimane Prefecture. Even in the eyes of the Japanese themselves they were not true residents of Ulleungdo. 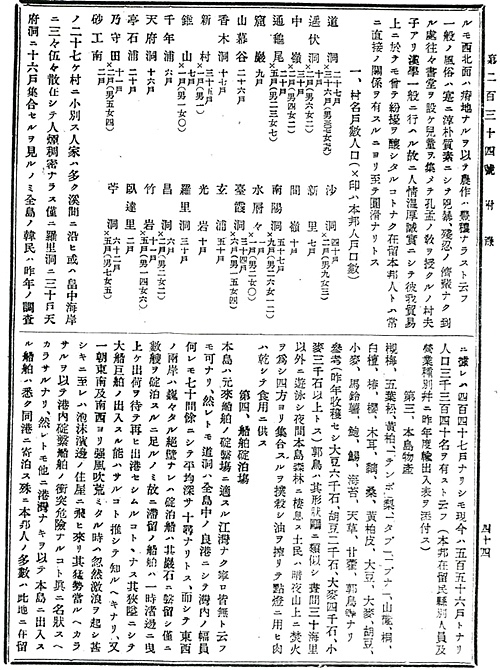 In the 1883, Japanese trespassers had to be forcibly removed by the Japanese government and a travel ban to Ulleungdo declared. However, by the turn of the century they had overwhelmed the Koreans to the point where Japanese police had to be permanently stationed on Ulleungdo to control the problem. Again we see Japanese activities on Liancourt Rocks were conducted via the civilian invasion of Ulleungdo. 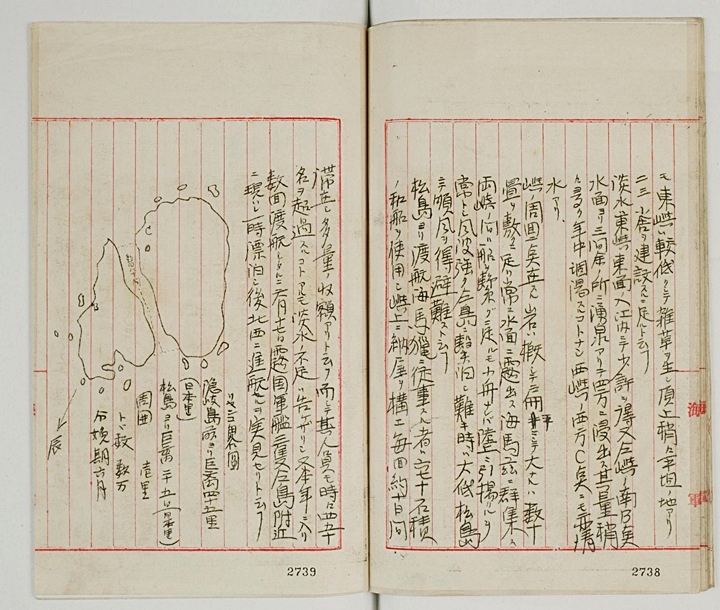 In the fall of 1904, while in the process of installing military facilities on Korea’s Ulleungdo Island the Japanese Warship Niitaka’s logbooks have a small passage about Liancourt Rocks (Dokdo Island) In this brief writing Korean cognizance of the island is confirmed. In addition, it can be understood the name of Dokdo was used by Koreans of the day before Japan annexed the islets only six months later. 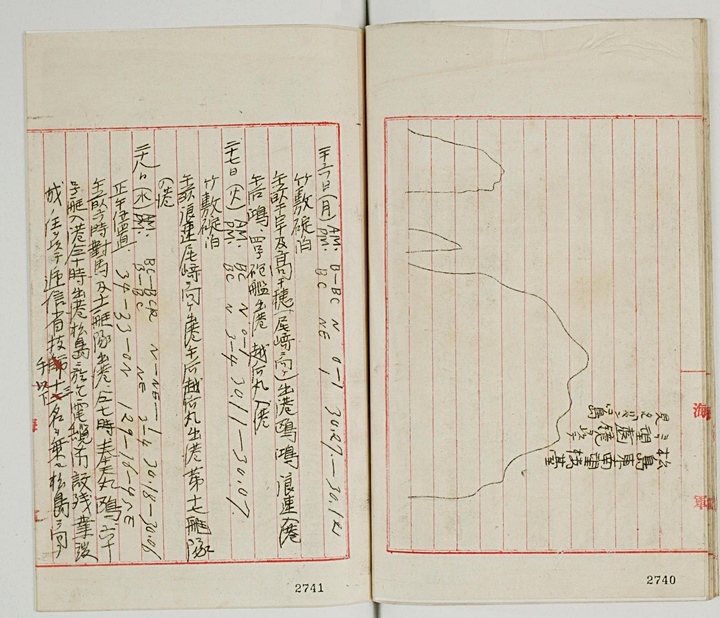 Above: The September 1904 logbooks of the Japanese Warship Niitaka are clear evidence Koreans were well aware of the island before Japan seized the rocks. Also, the name “Dokdo” was being used by Koreans at this time. Historical records tell us Japanese of the early 20th Century considered Dokdo as Korean territory. The above documents are not cited as a basis for Korea to lay claim to Dokdo. 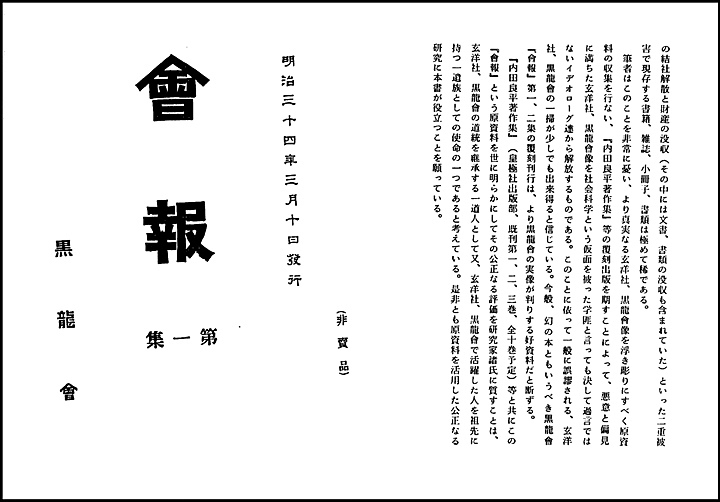 These papers are intended as a common sense, practical attempt to paint a picture of the territorial perceptions of the Japanese who were intimately involved on both Ulleungdo and Dokdo immediately before the Japanese military annexed the island. 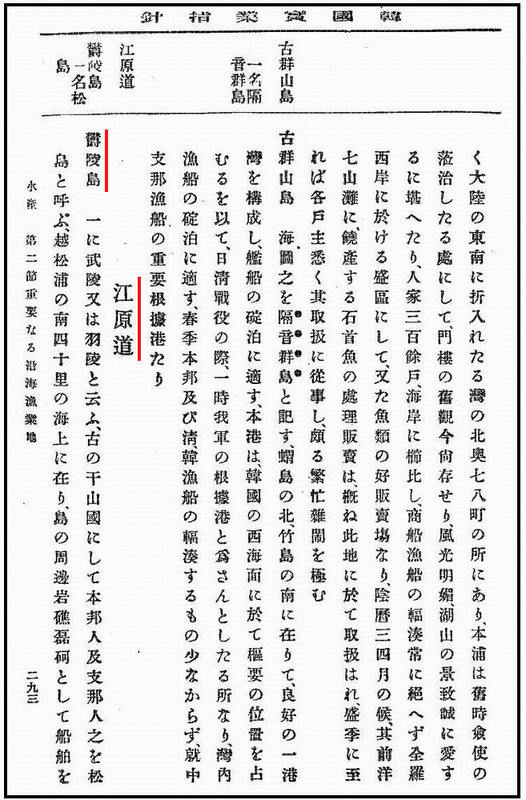 Who better than the (illegal) Japanese residents of Ulleungdo knew the national boundaries of Japan? The Japanese residents of Ulleungdo were illegal squatters and they were aware that their situation on the island was tenuous at best. They were usually transient residents who seasonally fished Ulleungdo’s waters and then returned to their home prefectures in the fall. 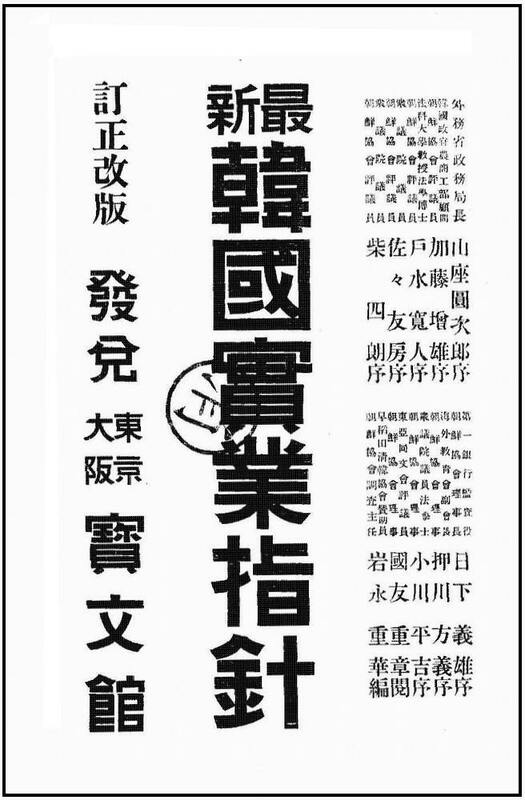 Under Chosun~Japanese fishing regulation agreements of the day, Japanese fishermen had to pay taxes on marine resources they harvested however they did not. This is not an attempt to vilify these Japanese but rather to shed light on their situation in the region. That is, would squatters who were knowingly illegally logging, fishing and residing on Ulleungdo consider Dokdo as part of Japan? This contrasts sharply with the nature of Koreans who permanently settled on Ulleungdo legally year-round and were involved in agriculture and fishing. As shown above, Japanese fishing and sealing activity on Liancourt Rocks was conducted via Ulleungdo not Japan. This was due to a few factors, such as Dokdo’s long distance from Japan, lack of fresh water and the harsh marine environment of the East Sea (Sea of Japan). At more than 300 kms return, a voyage from the nearest landfall to these barren rocks was hazardous for Japanese fishermen who used light fishing craft. Liancourt Rocks stands in the middle of the East Sea. The waters surrounding Liancourt are often very heavy seas with 150 days of precipitation annually. Eight-five percent of the time this region is either cloudy, rainy, snowy. Dokdo, being essentially a collection of barren rocks could offer no shelter from this harsh environment. Because of the aforementioned facts, Japanese fishing and seal hunting around Dokdo had to be done almost exclusively from the most proximate land mass, Korea’s Ulleungdo Island. Therefore, it’s not surprising those who knew the situation on Ulleungdo and Liancourt Rocks the best, regarded Dokdo as part of Gangwando Province or as appended to Ulleungdo even months before the Japanese annexed the island.